Microsoft hit its highest level since 2000 Tuesday and was one of the top five performing stocks in the Standard & Poor’s 500 on increasing chatter a version of Office is coming for Apple’s iPad. Shares of Microsoft gained $1.50, or 3.9%, to $39.55 in the stock’s biggest one-day move in seven months. The stock is up nearly 6% this year, outpacing the broader market. Tuesday’s rally alone lifted Microsoft’s market value $12.5 billion to $328.3 billion. Office is the dominant software and cloud service used by businesses and professionals to create documents, calculate spreadsheets and design presentations. By taking the service to Apple’s iPad computers, Microsoft would demonstrate its seriousness in using its edge in cloud-based services to bring services to all devices to boost revenue. There’s been no formal announcement about Office for the iPad from Microsoft, but technology watchers increasingly expect it to be one of the first bold moves announced by Microsoft’s new CEO, Satya Nadella. Nadella may announce Office for iPad at a Microsoft press event on March 27 in San Francisco, reports CNET. Microsoft continues to show that while it may be behind competitors selling mobile hardware, it’s ahead of others in the fast-growing cloud computing industry increasingly seen as the next frontier in computing. Microsoft’s Azure cloud computing platform continues to grow as developers see it as a low-cost way to build applications for consumers and businesses. It’s unclear how the Office suite will be delivered, but some expect it to be part of a subscription to Office 365. Office 365 is Microsoft’s successful software-as-a-service business where companies and consumers essentially rent the ability to have the latest version of Office, as opposed to buying package software. Microsoft has been aggressive in making its software available not just on its own platforms, like Windows 8 and Windows Phone 8, but on any device. This week, Microsoft made its note-taking software, OneNote, available on additional Apple devices for free. Unlike other technology companies that try to lock consumers into a platform, Microsoft’s approach allows it to make money on other tech firms’ platforms. Despite the positive trends at Microsoft, analysts are still slow to understand it, according to a note from Jason Trennert of Strategas Research Partners. The percentage of analysts who rate the stock a buy is at the lowest level in 15 years, Strategas says. Training and Certifications are available for the Microsoft Office Specialist at CED Solutions. 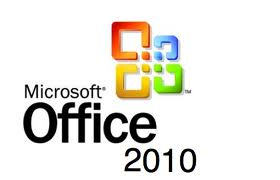 This course covers all areas of Microsoft Office and includes the certification exams onsite. CED Solutions is a Cisco Learning Partner, Microsoft Gold Learning Partner and the #1 location for Microsoft Certifications in North America for the last 6 years combined. CED Solutions is a CompTIA Partner, EC Council Partner, and many others and is one of the largest providers of training in North America. The Atlanta facility provides IT training for up to 300 students per day, with separate buildings dedicated to training. CED Solutions provides training for up to 10,000 students per year and students take up to 800 certification exams every two weeks. CED Solutions provides training and certification for MCSD: SharePoint 2013 Applications Developer; MCSE: SharePoint 2013; Cisco CCNA; Cisco CCNP; Cisco CCNA Security; Cisco CCNP Security; Cisco CCNA Voice; Cisco CCNP Voice; Microsoft MCSA: Windows 2012 Server; MCSA: Windows 2008 Server; MCSA: SQL 2012 Server; MCSE: Business Intelligence SQL 2012 Server; MCSE: Data Platform SQL 2012 Server; MCSE: Desktop Infrastructure Windows 2012 Server; MCSE: Server Infrastructure Windows 2012 Server; MCPD: 6 Cert Visual Studio Developer; MCSD: Windows Store Apps C#; MCSD: Windows Store Apps HTML5; IT Healthcare Technician and many more. Trump signed the ‘Forever GI Bill.’ Here are 11 things you should know. Live Virtual Class – IT Pro Certification – What Does It Look Like?